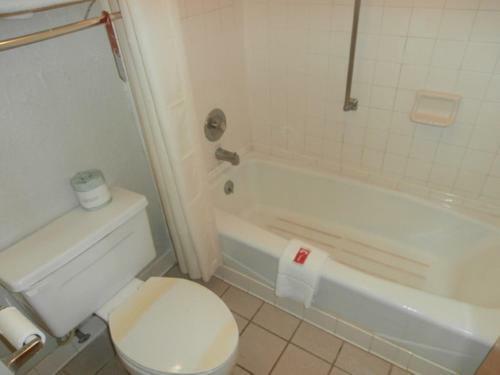 Rooms from $45.04 per night. 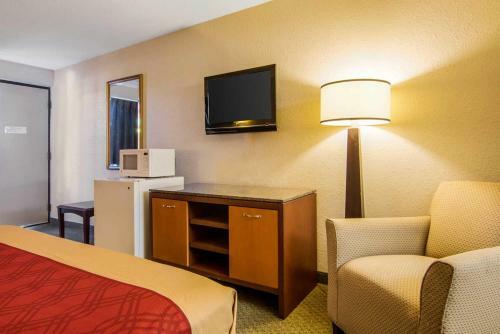 Guests get free Wi-Fi in-room microwaves and mini-fridges and free continental breakfast at the Travelodge Suites and Conference Center Dublin GA. All 83 rooms at the two-story Travelodge include coffeemakers cable TV microwaves and mini-fridges. our guests can start the day on a full stomach here: the hotel serves a complimentary continental breakfast of pastries cereal oatmeal fruit coffee and juice each morning. For those with an exercise routine to maintain the on-site fitness center provides access to cardio equipment. There's also an outdoor pool for those who prefer an aquatic workout or a leisurely afternoon of sunbathing. Event space is available on-site for conferences and meetings. Pets are welcome for a small charge. Parking is free. The Travelodge is off of I-16 on Highway 441 adjacent to the Dublin Laurens County Recreation Center. Downtown Dublin is nearly four miles north of the hotel. Local points of interest include Heart of Georgia Technical College one mile away; Middle Georgia College three-and-a-half miles away; and Carl Vinson VA Medical Center nearly five miles from the hotel. W.H. Bud Barron Airport is six-and-a-half miles away. Middle Georgia Regional Airport is 55 miles from the hotel. 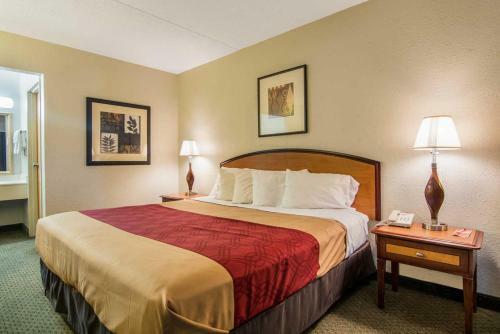 Add Econo Lodge Inn & Suites Conference Center Dublin to your free online travel itinerary.